Cambridge, MA An artist father contributes to his daughter’s, who is the Founder and CEO of Cancer Education and Research Institute (CERI), efforts in raising cancer awareness worldwide with his handcrafted decorative wood art available at https://instagram.com/masterhandsofsalimsahin. There’s nothing like a father’s love to support his daughter’s efforts in worldwide cancer education with his magnificent handcrafted decorative wood art, available online at his Instagram page at https://instagram.com/masterhandsofsalimsahin and Facebook page at https://www.facebook.com/Master-Hands-of-Salim-Sahin-478304292702289. Mr. Salim Sahin, a 75-year-old artist from Turkey and the father of CERI’s CEO and Founder Dr. Ayguen Sahin, a cancer scientist and a former Harvard Medical School faculty member, pledged to donate 50% of his proceeds to CERI. “I always pray for the health of all the people in the world, especially for those who are awaiting their cure. I don’t want anyone to suffer, but want everyone to live in comfort. I want people to produce something and to be of benefit of humanity. Because I am fond of foundations that serve humanity, it is my great pleasure to donate half of my proceeds of my artwork to such a great organization like CERI. In my opinion, CERI’s mission is very important. It is very important to educate people, but with correct information. Particularly in the world we live in, I would like to see more of foundations like CERI that educate people and serve humanity, and I want people to live in a healthy way”, said Mr. Sahin. The decorative wood art is stylish and great for homes, offices, hotels, and perfect gift on holidays or any occasion. The artwork is shipped worldwide from Turkey. Mr. Sahin has currently more than 350 unique pieces available. Some of the artwork along with CERI’s cancer awareness scarves will be displayed at CERI’s booth at the upcoming VolunteerExpo 2019 at Prudential Center Boston on Thursday, April 11, 2019 from 5-7pm. Show your belief in Mother’s and Father’s Love, art, kindness, and cancer awareness by donating to CERI’s cause, and purchasing your own artwork and cancer awareness scarf TODAY! 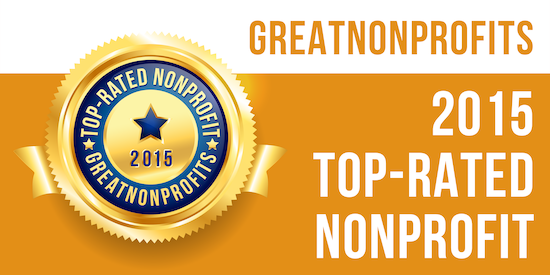 Cancer Education and Research Institute (CERI) (canceredinstitute.org) is an award-winning, independent, Boston-based, 501(c)(3) global non-profit organization. Its three-fold mission is to 1) make cancer and cancer research understandable for everyone; 2) bridge the gap between cancer scientists and cancer patients; and 3) provide cancer research scholarships for promising high school students worldwide. Master Hands of Salim Sahin (www.instagram.com/masterhandsofsalimsahin) is the brand of Salim Sahin’s decorative wood art. His art is stylish and suitable for homes, offices, hotels, and makes perfect gifts for holiday celebrations or any occasion. He has currently more than 350 unique pieces available, ready to be shipped worldwide. Mr. Sahin pledged to donate 50% of his proceeds to Cancer Education and Research Institute (CERI, canceredinstitute.org), whose Founder and CEO is his daughter, Dr. Ayguen Sahin. Mr. Salim Sahin is a 75-year-old artist who lives with his always-supportive wife, Mrs. Saltanat Sahin in Istanbul, Turkey. 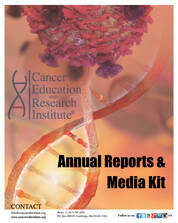 Cancer Education and Research Institute (CERI)®'s Annual Reports and Media Kit include our 5-year progress and achievements, fact sheets and demographics, information about our programs, and sponsorship opportunities. To read our Annual Reports and Media Kit click here. 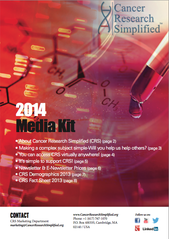 Cancer Education and Research Institute (CERI)'s, fka Cancer Research Simplified, downloadable media kit includes our 2013 fact sheet and demographics, information about our programs and initiatives, and sponsorship opportunities. 10/14/2014 Free 30 Day Trial of Cancer Journal for Patients, Families, and General Public! 9/25/2014 Genentech approves Cancer Research Simplified’s funding request for its upcoming Cancer Symposium Series! 9/23/2014 First German Issue of Journal of Simplified Cancer Research Published Today! 9/23/2014 Die erste deutsche Ausgabe des “Journal of Simplified Cancer Research” wird heute veröffentlicht. 9/4/2014 Journal of Simplified Cancer Research’s Inaugural Issue Published Today! at Harvard Extension Business Society!